Can a Commerce Graduate make a Career in Analytics? When Clarence Wong started his studies, he had no idea that he would one day have the power to change the fate of companies. With a background in commerce, Clarence always felt that engineers would have the edge in terms of employment. He never imagined that he could shift into the wonderful world of analytics and help businesses grow. He never knew that his background in commerce made him special – and set him apart from the rest of the competition. Clarence Wong is an alumnus of Jigsaw Academy with a strong background in commerce. In his pre-analytics days, Clarence worked extensively with numbers and found himself using several analytics tools. Given the growing interest in business executives with a grasp of sophisticated analytics tools, he decided to hone his data science skills and business management expertise. Clarence completed his MBA and did a Jigsaw Academy course simultaneously; upon graduation, he landed a coveted job as Project Lead of Analytics at Value Labs. You can read his story here. The Data Analytics and Big Data industries are growing. Now, we see the focus of decision making in companies shift from gut feel to data driven decisions. This is a great opportunity for those who love numbers and have a penchant for analysis. Finance professionals and commerce students have an edge in learning analytics. They have strong quantitative skills and a solid understanding of statistics. They also have a robust understanding of business operations and the financial health of companies. Their understanding of finance and management gives them a leg up on the competition. Numeracy does, after all, lie at the heart of analytics as well as business development. A commerce student’s approach to analytics is unique. It builds on the understanding of finance and management they gain over their course. Their familiarity with numbers helps them derive useful information from numerical data. Their understanding of business also helps them make better decisions. One instance of this unique approach is the case of the Spanish train operator RENFE. RENFE has hundreds of trains in its fleet. Like other operators, it used a ‘reactive maintenance’ (curative rather than preventative) approach to keep its fleet running. This approach had one major problem- sometimes, the trains would break down en route. This resulted in major upsets to its schedule and monetary losses. The data analysts tasked with reviving RENFE’s profitability had a sound understanding of the way the business was structured and the way it was run. They understood the financials and their impact on operations and other aspects of the business. They also understood the nitty gritty details of the relationship between breakdowns and profitability. They uniquely understood the magnitude of the business problem and knew they had to solve it. To fix this problem, they switched to a predictive modelling approach. To roll out this approach, they collected diagnostic data from every train. When any train started showing any anomalous readings, they sent the train for servicing. This prevented breakdowns in the field and enabled RENFE to keep its trains running on time. This reduced operating costs, down time, increased revenues, profits and customer satisfaction. Your finance background can be an invaluable asset if you become a data scientist. Your familiarity with numbers and business can be your secret weapon. They can help you identify correlations that could escape others. Your understanding of financial data is a big plus too. Analytics is deployed extensively in the field of finance. Consider this example of a leading grocery retailer facing stagnant growth. New stores were not an option. New geographies were not an option. Competition was at an all-time high. What could they do to keep their market position? They turned to data analysis. Data analysts combed through the data the chain collected. They went through the commercials, geographical determinants, outlet features and many other data points. They analysed the financial data and identified opportunities for growth. As a result of this exercise, they helped the chain discover new formats and redesigned their offerings. This resulted in sales increases of up to 20 to 40 percent. 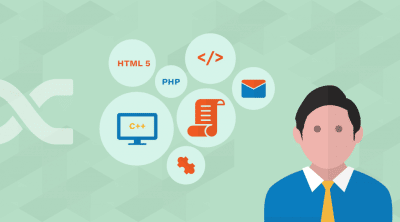 In addition to a knowledge of commerce and business development, the ability to write programming language is a must. Our courses teach everything from the foundation to the specifics of tools and languages. In India, companies like GenPact, IBM and Accenture hire data scientists. Facebook, Google, Flipkart and Amazon all employ data analysts with commerce and finance background. Large IT and ITES companies hire these data analysts too. 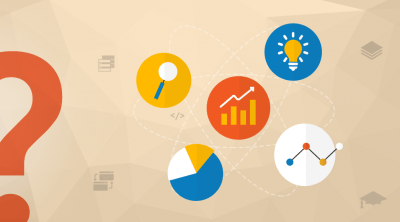 eCommerce companies, retail firms and technology startups also have need for data scientists. These companies use a combination of proprietary and open source tools in their workflow. Knowing these tools will count in your favour in the hiring process. Jigsaw Academy has helped many commerce students build a career in analytics. Our courses are designed for people who have no prior experience in analytics. Everything, from statistics to programming to predictive modelling, is taught from scratch. Data Science Specialization is the most popular learning path among Commerce graduates. Analytics for Beginners: This course is designed for people with absolutely no background in analytics, statistics or programming. It will introduce you to the wonderful world of analytics in a fun and easy to learn manner. Data Science with SAS is a follow-up course. This course will teach you everything you need to learn to become a data scientist in a business organization. With a focus on SAS, the most popular business analytics tool in the industry, this course will give you the best platform to launch an analytics career. 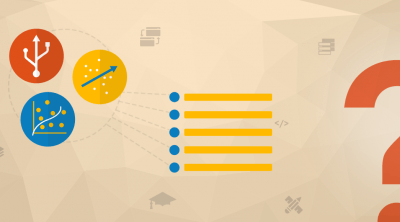 Top it up with the Data Science with R course which covers R, the most widely used open source analytics tool. 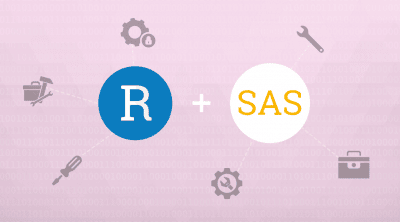 You will receive the Data Science with SAS and Data Science with R certifications. You will also receive the advanced data science specialization certification. You can now enter the world of business analytics with confidence.